Obviously the range for the bikes will determine your chances insofar as re-fueling. Once concern I'd have is that if there is a gate you simply cannot bypass, now what? Return to the start - would you have fuel to do that - of course it depends on where the gate is. Reports of better roads replacing the rocky slow stuff we encountered will help to determine at the time just how far in your chase vehicle will want to go. I assume you will be in communication with the chase crew in the event you'd need to turn around to where you "started." From Rancho La Ilusion on the northern end the dirt road was in and out of washes, a couple of very rocky dry wash crossings and then somewhere about 4 miles south of La Ilusion was a steep rutted hill climb of 1/4 mile. From the San Ignacio side it was, in 2017, a decent dirt road as far as El Gato, slow in spots for a pick-up, 4WD wasn't necessary for that section. Remember that this was April of 2017 and Desert Bull's report was after our adventure and he is one of those who reported much better conditions. Our group encountered no locked gates, the gate at La Ilusion south of El Barril has been open the several times we went through it. Desert Bull made no mention of gates either as far as I recall. if there are locked gates, they will be close to Rancho San Miguel. So, no problem to turn around when you come from El Barril. Coming from the south and turning around at locked gates around San Miguel will require extra gas. Based on TWM's input and DesertBull's post, gonna try to take my truck through. Camp out a little North of Trinidad. InReach, satellite 2-way communication (or Sat phones) for the win! Are all of the mentioned trails wide enough for a Big Wide Prerunner Buggy ? That spot isn't on either of the set of of tracks I have. So, we'll see. Which one is the truck route, yellow? 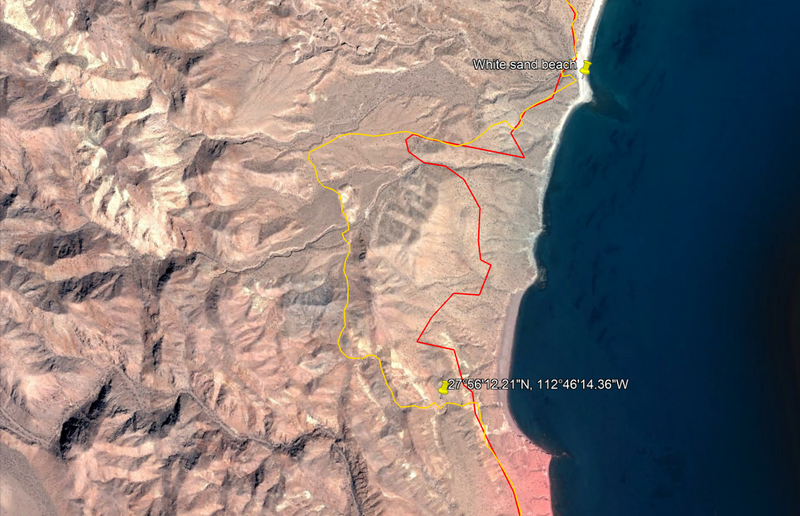 Yes, if you look at the file contents/properties of the track 4x4abc just posted, the route you colored red is labeled "bike", and the yellow one is labeled "4x4 rural". when the road to Rancho La Trinidad was built, a shortcut n the canyon was also established. Haven't driven it yet, but for the next group of adventurers this would be cool. 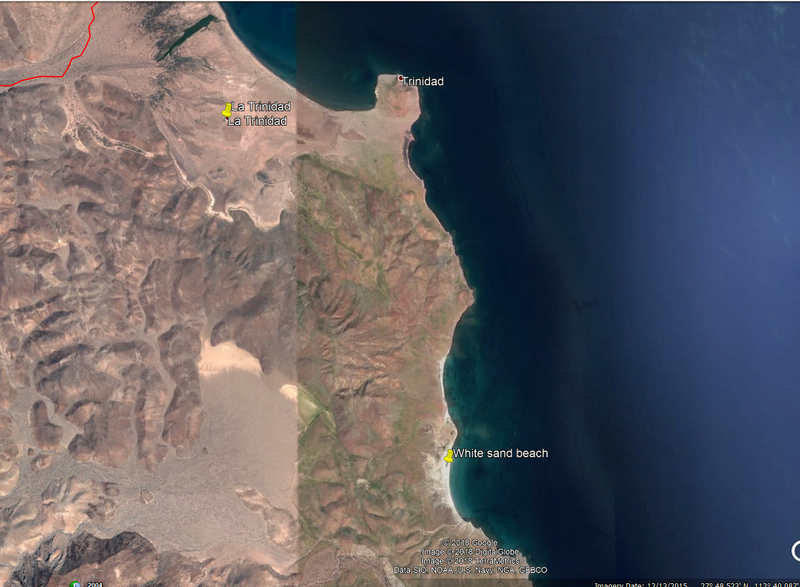 Have you ever gone to the beach 2.5 miles below Trinadad? Wonder if there is a route. Looks really nice. I went by there once in a boat, but we just flew by. I wouldn't suggest taking anything other than 4x4. Plenty wide but the wash after trinidad is rock crawling.